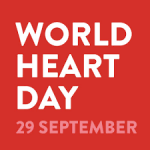 29 September is World Heart Day. A day dedicated to raise awareness of heart health. A healthy lifestyle can decrease the risk of cardiovascular disease. Moderate beer consumption can be part of this healthy lifestyle and can help decrease the risk of cardiovascular disease. To make people aware of this, Beer and Health produced a short movie to explain the effect of moderate beer consumption on cardiovascular health. Cardiovascular disease (CVD) is the number one cause of death in Europe. Each year more than 4 million Europeans die because of heart disease and stroke. 80% of premature deaths from CVD could be avoided if the four main risk factors – tobacco use, unhealthy diet, physical inactivity and harmful use of alcohol – were controlled. In addition to the above, moderate beer consumption may also be part of a healthy lifestyle and is associated (15 – 30 g alcohol per day) with a 25% lower relative risk of death from cardiovascular disease compared to abstainers. Heavy alcohol consumption may have adverse effects on heart health; moderation is therefore important. This year on World Heart Day, the World Heart Federation is asking you to make a promise. A promise to eat more healthily, to get more active, to say no to smoking.